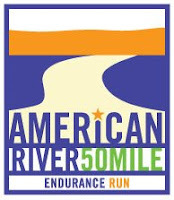 As reported by Scott Dunlap on A Trail Runner's Blog (post), Anton Krupicka and Jenn Shelton took the men's and women's honors at yesterday's American River 50 Mile Endurance Run in Sacramento, CA (race site)(results). Top placers earned automatic, and highly coveted, spots in June's Western States 100, which is shaping up to be a clash of titans. The ultra blogs are roiling at the prospects (try karlmeltzer.com and AJW's blog).